CONTEXT: Ultrasound is emerging as a novel treatment agent for cancer. The advantage of using ultrasound is that it is not an electromagnetic radiation; hence, it does not produce the undesired harmful effects encountered through the repeated use of electromagnetic radiation. AIMS: The present study was aimed to evaluate the therapeutic potential of ultrasound in 7,12-dimethyl benz (a) anthracene (DMBA)-induced sarcoma in rats. SETTINGS AND DESIGN: Forty female Wistar rats were used in the experimental study. They were allocated into four groups. DMBA was used to induce sarcoma in 20 rats. Therapeutic ultrasound was applied at 2.5 W/cm2 for 10 min (continuous mode) to 10 sarcoma tumor-bearing rats and normal 10 rats. SUBJECTS AND METHODS: DMBA was used to induce sarcoma in rats. Body weight, tumor weight, and serum enzymes were determined following treatment with therapeutic ultrasound (Chattanooga Group, Hixson,TN USA (Model: Intelect® Mobile Combo Model No. 2778). STATISTICAL ANALYSIS USED: Statistical analysis was performed using SPSS (SPSS Inc., Chicago, IL, USA) statistical package. The results were expressed as mean, standard error of mean (SEM). The one-way analysis of variance followed by post hoc test least significant difference was used to correlate the difference between the variables. Values were considered statistically significant if P < 0.05. RESULTS: There were significant increases on the body weight and tumor weight of treated rats. The increased activities of serum pathophysiological enzymes aspartate aminotransferase, alanine aminotransferase, alkaline phosphatase, ACP, and lactate dehydrogenase of ultrasound-treated rats were significantly (P < 0.05) higher than the control levels indicating loss of redox homeostasis. 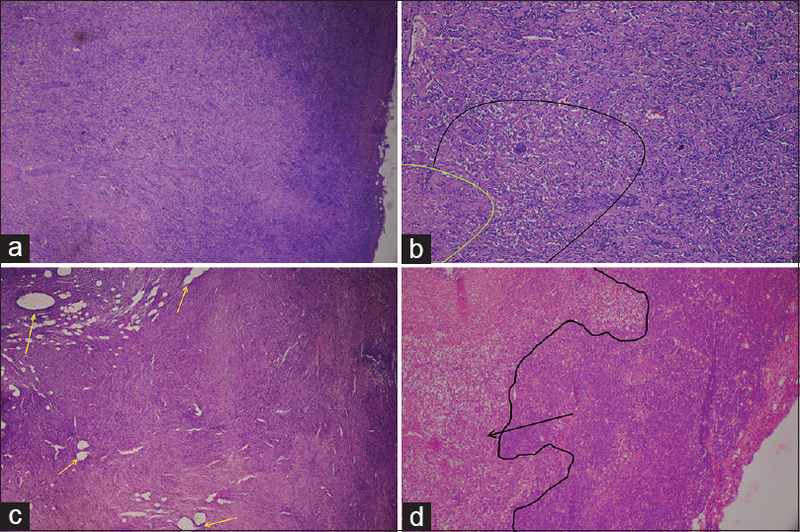 The histopathological analysis of sarcoma tissues showed extensive hemorrhage and necrosis indicating the antitumor nature of ultrasound. CONCLUSIONS: The results of the present study indicate that ultrasound significantly suppresses DMBA-induced sarcoma in rats. BACKGROUND: Western Ontario and McMaster Universities Osteoarthritis Index (WOMAC) is the most widely used condition-specific self-reported multidimensional instrument for the assessment of hip or knee osteoarthritis (OA). OBJECTIVE: The objective of this study is to translate and to investigate the reliability and validity of modified WOMAC (mWOMAC) Gujarati version in participants with knee OA. MATERIALS AND METHODOLOGY: The Indian version mWOMAC English questionnaire was translated into Gujarati with forward and backward method, and its psychometric properties were analyzed on 230 Gujarati-speaking participants with knee OA (mean age = 58.4 years). The visual analog scale (VAS) for pain and handheld dynamometer (HHD) for isometric quadriceps strength along with mWOMAC was recorded twice within 2 days, and data were used to assess the reliability and convergent validity. RESULTS: The mWOMAC Gujarati version questionnaire was internally consistent with Cronbach's alpha 0.936 (test), 0.940 (retest), respectively. Test-retest reliability was analyzed using mixed model intraclass correlation coefficient (ICC) and found satisfactory with ICCs of 0.986. Convergent validity was analyzed using Pearson's correlation coefficient between mWOMAC and VAS (P < 0.05, r = 0.716); mWOMAC and HHD (P < 0.05; r = −0.915) and significant correlation was found. CONCLUSION: The mWOMAC Gujarati version is a reliable and valid self-rated clinical instrument for the assessment of symptoms and function in OA knee. BACKGROUND: Bone mineral density (BMD) is an indirect measure of bone strength. As per WHO criteria of osteoporosis, osteoporosis and osteopenia are two subclinical states of low level of BMD. Osteoporosis is a major silent public health problem in India but epidemiological data are scanty in our country. Public awareness can play a crucial role to prevent the consequences of osteoporosis, which is based on the estimation of the BMD as osteoporosis is symptomless until person sustains fracture with a trivial trauma. The purpose of this study was to screen the people for their BMD levels using the quantitative ultrasound scan (QUS) method. METHODOLOGY: A total of 215 individuals (125 males and 90 females) between 25 and 75 years of age were screened for their BMD levels in a camp held at Lyallpur Khalsa College of Jalandhar, Punjab. Their BMD was estimated using QUS on distal radius of dominating hand. Results were presented as distributive statistics. RESULTS: As per WHO criteria of BMD, 11.2% participants were osteoporotic (T-score <−2.5), 32.6% were osteopenic (T-score <−1.0–2.5) whereas approximately 56% had normal bone density (T-score >−1.0) There was a significant trend of decreasing bone density with an increase in age in both the gender groups. A significant association (χ2 = 18.64, P < 0.005) was reported between the T-score and age of participants. CONCLUSION: Although such as DEXA scan, QUS method is not considered to be a standard tool for estimation of BMD; however, it is effective and affordable in identification of subclinical cases having low level of BMD. In our country, a camp is the best setting to screen a large population and creating awareness about such health problem. BACKGROUND AND AIM: Cancer is a major cause of adult deaths in India and cancer incidence is projected to grow in the coming decades because of improved life expectancy. The importance of rehabilitation in cancer care received increasing recognition in medical settings; however, very little has been documented about the involvement of physiotherapists in cancer care and rehabilitation. This exploratory paper assesses the availability of physical therapy services for cancer patients and cancer survivors in South India. METHODOLOGY: In this explorative study, 1410 cancer patients from 15 cancer centers in three South Indian states were administered a valid questionnaire presented in their native languages. Descriptive statistics were used to analyze their responses. 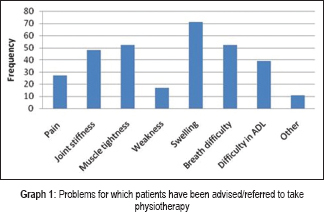 RESULTS: More than half of the cancer patients (54.1%) did not know that physiotherapy treatment is required in symptom management and only one-third (31%) were advised or referred to physiotherapy treatment. Two-thirds of the respondents (68.8%) were benefited by the recommended exercises. The recommended exercises were stretching (42.9%), breathing (28.6%), and strengthening (16.9%). The most commonly used evaluation method was visual analog scale for pain (29.9%). CONCLUSION: It is found that the number of qualified physiotherapists working in the cancer centers is not sufficient to meet the demand. CONTEXT: Physiotherapy curriculum has undergone a major change in the past several years. Over time in addition to content, some of the skills are given less importance, resulting in attrition of skills with increase in theoretical knowledge. 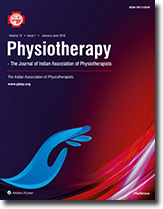 AIMS: The aim of this study is to assess the feasibility and response to a structured method of curriculum delivery SETTINGS AND DESIGN: The study was conducted at College of Physiotherapy in Karnataka. The study design is qualitative. SUBJECTS AND METHODS: Method of data collection for Phases I and III was through interviews using both in-depth interviews and focus group discussions. For Phase II, a multi-step Delphi approach was undertaken. 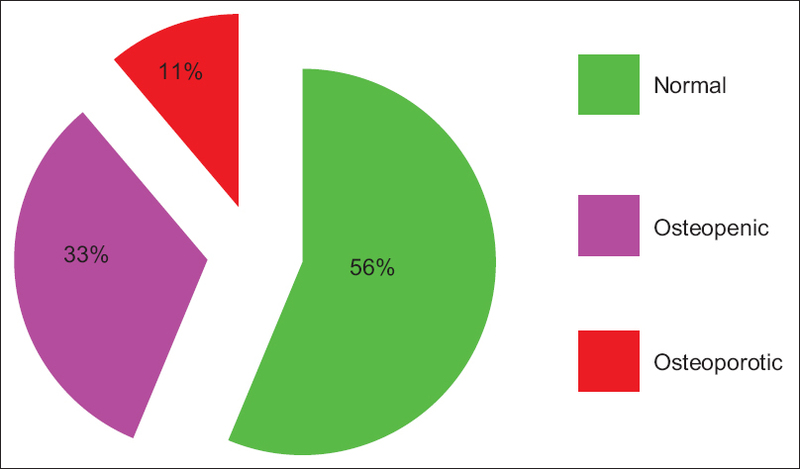 STATISTICAL ANALYSIS USED: Triangulation was performed from the interview output, and the codes and themes were extracted. 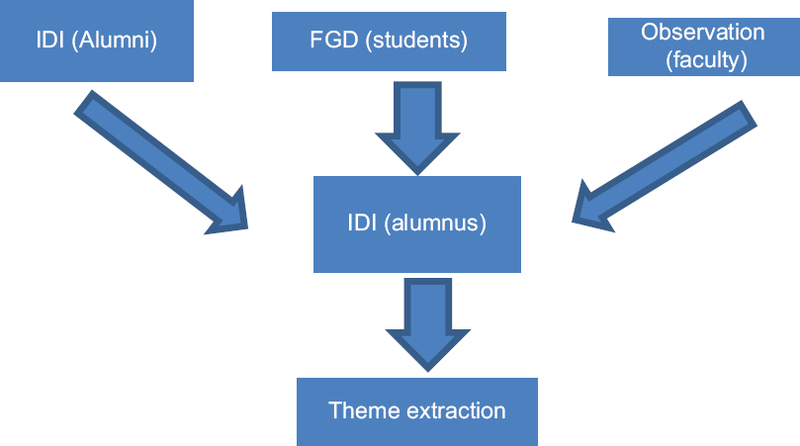 Trustworthiness of emergent themes was assessed through interviews conducted on a different cohort of faculty members and students. RESULTS: Predetermined themes that were assessed are ease of integration of subject from student's point of view and carryover of theoretical knowledge and skills in to the clinical work. The new themes that emerged after Phase I were that practical classes were important in all subjects and vertical and horizontal integrations of subjects are required. Phase II consisted of development of manuals and checklists. Phase III results revealed that the new system assisted teachers in delivering uniform knowledge across batches and helps students to understand the relevance of subjects studied. REFLECTIONS: Comments from Phase III are indicative of the achievement of the goals identified in Phase I through the methods described in Phase II. BACKGROUND: The possibility of the presence of central sensitization (CS) among chronic nonspecific low back pain (CNSLBP) patients to predict treatment response by related outcome measures has not been adequately explored. The purpose of this pilot study was to determine the feasibility of a study to compare “McKenzie exercise program” (MEP) and “conventional physiotherapy program” (CPP) outcomes for participants with CNSLBP, investigate whether any difference in outcome was related to CS, disability, fear-avoidance beliefs and trunk flexors and extensors muscles endurance, and to inform the design of a main study. OBJECTIVE: The present study tests whether MEP reduces CS better in CNSLBP patients having CS compared to CPP. METHODS: Forty-two patients with CNSLBP were randomly allocated into two groups. The experimental group (n = 22) received only MEP and control group (n = 20) received only CPP. Each group received specific weekly treatment five times during the study for 2 months. Outcome measures were CS Inventory-Gujarati (CSI-G) for the presence of CS, numerical pain rating scale (NPRS) for pain intensity, pressure pain threshold (PPT) by pressure algometry, Roland–Morris Disability Questionnaire-Gujarati (RMDQ-G) for disability, Fear-avoidance-beliefs Questionnaire-Gujarati (FABQ-G) for fear-avoidance beliefs, and trunk flexors and extensors endurance tests. RESULTS: Both the groups showed a decrease in NPRS, CSI-G, RMDQ-G, and FABQ-G scores and increase in PPT and trunk flexors and extensors endurance scores. However, decrease in NPRS, CSI-G, RMDQ-G, and FABQ-G scores and increase in PPT scores were significantly better in the experimental group. In contrast, control group performed significantly better on trunk flexors and extensors endurance scores. CONCLUSION: McKenzie exercises are effective in reducing pain, pain sensitization, disability and fear avoidance beliefs; however, it does not improve trunk flexors and extensors endurance in CNSLBP patients with or without CS. Physiotherapy researchers are recognized and valued based on their research publications. Research publications in recognized journals earn them research funding by recognized funding agencies. They are entitled for international travel grant; short-term research funding and many more are based on research publication. Unfortunately, most of the Indian physiotherapists, physiotherapist students and scholars are unaware of the genuine publishing platform. This Continuing Professional Education article gives an overview about the genuine publishing in the digital age in India.